If you or your child has ever played contact sports, you know that sports mouth guards are absolutely essential for keeping teeth protected. However, many athletes still suffer dental trauma while wearing mouth guards that don’t fit correctly or have become worn over time. In this blog post, we will go over the 7 facts about mouth guards your sports injury dentist wants you to know. 1. Sports mouth guards protect your teeth. Playing contact sports like football or hockey puts you at an increased risk for dental damage, which is why we recommend you always wear a mouth guard when you play. Mouth guards work by forming a protective layer over your teeth while playing contact sports. That way, your teeth will still be intact if you receive a blow to the face. Don’t let your game time get cut short by an emergency trip to a sports dentist. Invest in a well-fitting sports mouth guard today. 2. You only need a mouth guard for the top teeth. If you or your child needs to wear a mouth guard for the first time, you might be surprised to learn that you only need a mouth guard for the top teeth. An exception to this rule is if you wear braces or another fixed dental appliance on your lower teeth. 3. You need to replace mouth guards every six months. Your mouth guard will wear down over time until the material is no longer thick enough to be considered protective. When this happens, your mouth guard will be ineffective for protecting your teeth from strong blows. 4. Mouth guards need to be washed after every use. Bacteria love to live in the dark nooks and crannies of your mouth guard, which is why you’ll need to clean it out after every use. Simply scrub out the mouth guard with a toothbrush and rinse under cold water before storing it in a dry ventilated container. Clean your mouth guard after every use to remove harmful bacteria. 5. You can still wear a mouth guard with braces. If you have braces, you’ll need a braces mouth guard that fits properly. A mouth guard that is too tight will prevent your braces from moving teeth into optimal alignment. A loose mouth guard can snag on your braces during impact to cause tooth and orthodontic damage. For the best fit, we recommend asking an experienced sports dentist to make a vacuum-formed or pressure laminated mouth guard. 6. Stock mouth guards aren’t good for long-time use. If you plan on playing a contact sport for an entire season, it’s well worth the investment to get a custom-fit sports mouth guard. When you practice a contact sport for several hours a day there are many opportunities for dental trauma. Unfortunately, the stock mouth guards you find at the sporting goods store aren’t customized to your bite and may fit too tightly or loosely. When a mouth guard doesn’t fit right, it offers less protection and feels uncomfortable. 7. Sports mouth guards save you money. If you play contact sports on a regular basis, it’s worth the money to get a custom-fit mouth guard. Vacuum-formed mouth guards or pressure laminated mouth guards offer the best dental protection against blows to the face. The cost of a sports mouth guard pales in comparison to what it would cost to repair a damaged or missing tooth. If you are interested in learning more about our sports mouth guard service, please feel free to call our Gahanna sports dentistry at (614) 475-7580. Dr. 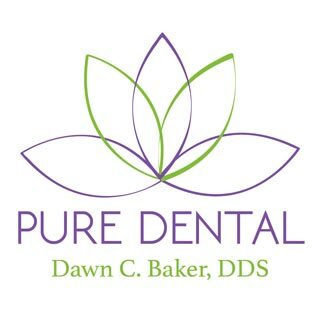 Dawn Baker DDS at Pure Dental is dedicated to helping athletes maintain healthy smiles through well-fitting mouth guards.